Use this fashion designer business card template and create the perfect business card for a stylist, fashionista, or clothing designer. Use the menu on the right side of the page to edit the graphics and the background, then edit each line of text with the menu on the left. Simple, wasn't it? 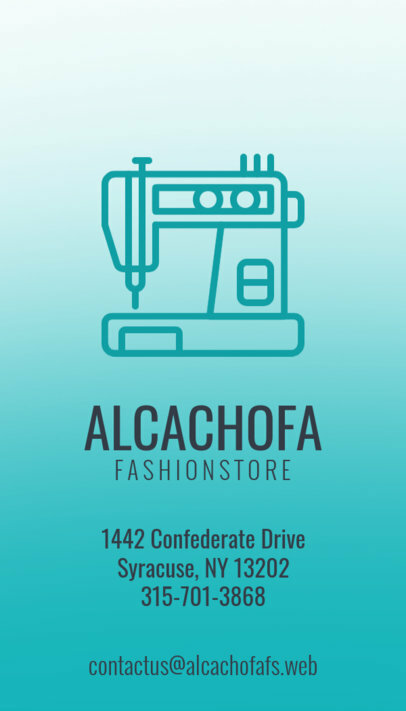 Try another Fashion Designer Business Card Maker! 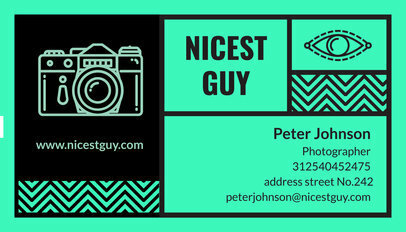 Make a travel agent, tour guide, or travel agency business card design using this business card template! You don't need to know anything about Photoshop or graphic design to use it. Start by editing each line of text with the menu on the left side of the page, then customize the background and banner with the menu on the right. Try making your own Travel Agency Logo! 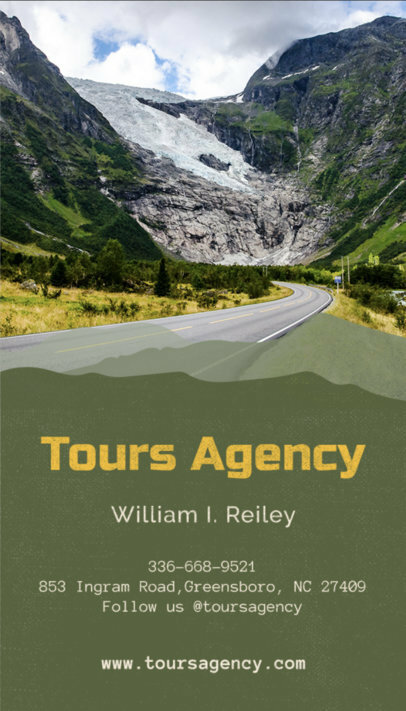 Looking to design business cards for your travel agency? 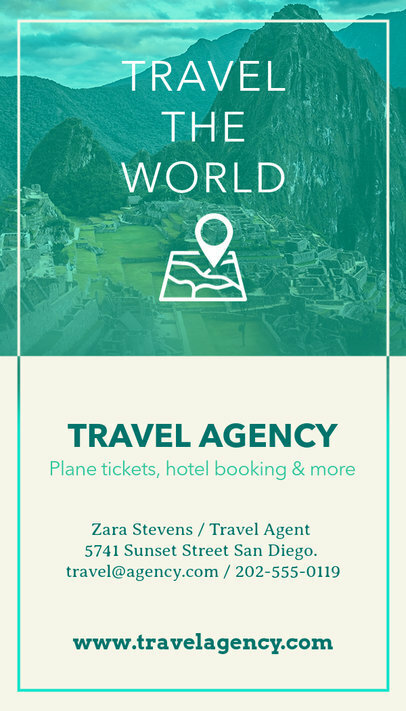 This business card maker has tons of vacation, traveling, tourism, adventure and globe-trotting graphics and fonts to design the perfect business card to represent your travel agency. And you won't even need to hire or be a designer to create custom business cards in seconds. Want more options? Try another Business Card Maker for Tour Guides! Make an optometrist business card with Placeit's eye doctor business cards maker! 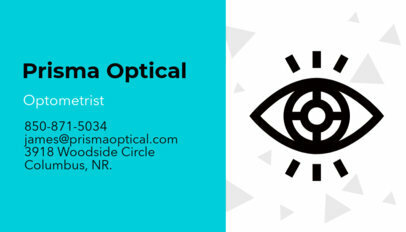 Get a design done for your optometry business cards using a simple interface, and with a beautiful result. Start by customizing the main icon, background and banner color with the menu on the right, then use the menu on the left to edit each line of text and the layout. Try making your own Doctor Logo! Design a professional business card for your nail art salon in no time with the help of this business card maker! 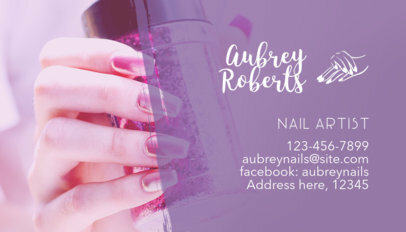 No need to use Photoshop or hire a designer, just choose from a wide variety of nail clip art to create a custom business card specially designed for nail artists! Try using our Makeup Artist Businss Card Maker! 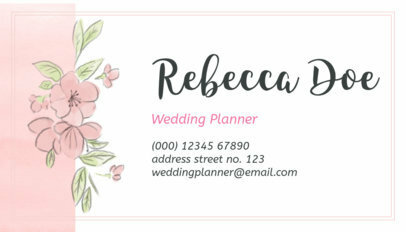 Get a wedding planner business card design done by yourself! You don't need to know anything about Photoshop or graphic design, just use this online business card maker to create your own event planner business cards in no time! 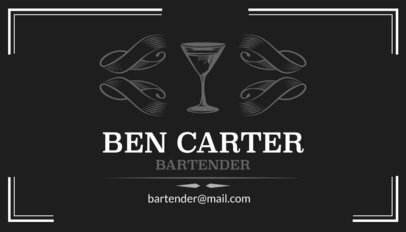 Try another Event Planner Business Card Template! Use now this auto shop business card maker and create your own designs for an automobile shop or auto repair in seconds! This auto mechanic business card maker is great for automotive manufacturers, automotive marketers, auto sellers or dealerships. Try another Automotive Business Card Maker! Love event planning? Opening up your Wedding Planning Business? 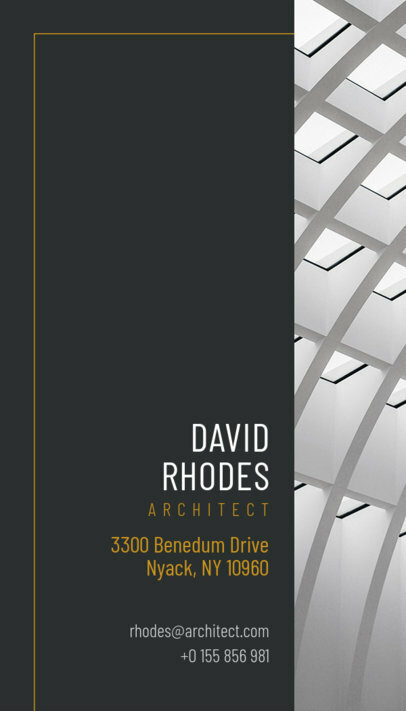 Make it official with your brand new Business Cards. Placeit has an easy-to-use Business Card Template that is fast and gives you the perfect Wedding Planner Business Card you were looking for. You can start by selecting your font, color, and style. You can also choose your background and graphics. 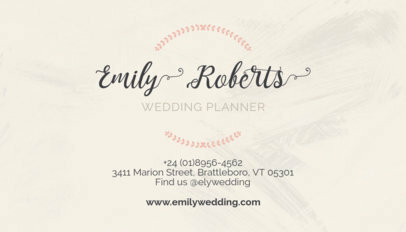 Make your Wedding Planner Business Card now! Make a construction business card with Placeit's contractor business cards generator! 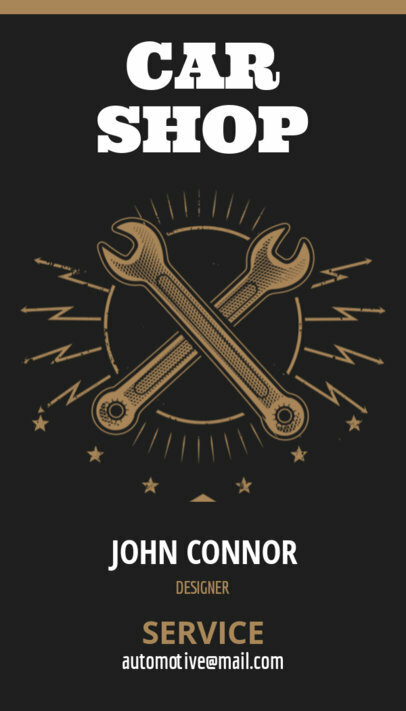 You can now make your own general contractor business cards design without having to learn anything about Photoshop or graphic design. You won't even have to hire a graphic designer to do the job for you, how great is that? 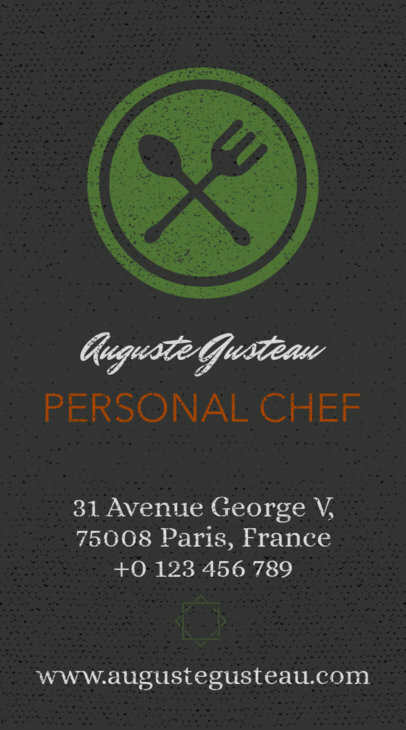 Use Placeit and create a construction business card design on your own. Try another Construction Field Business Card Maker! 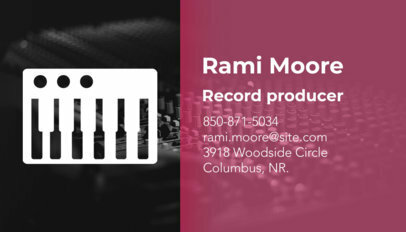 Use this music business card maker and create your own musician business card! Start using the menu on the right side of the page to customize the main icon, background, and transparent object. Then edit the layout and each line of text using the menu on the left side of the page. Easy! Try making a Music Lessons Flyer! 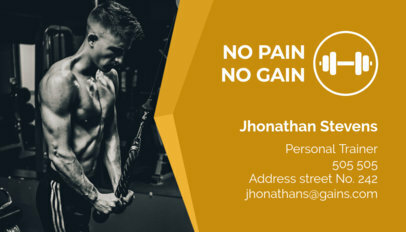 Use this business card maker to create your own design related to fitness and training. The menu on the right side of the page will let you edit the main icon and background. Then, customize the side graphic and each line of text with the menu on the left. Simple, wasn't it? Try making a Gym Logo! Use now this engineer business card maker and create a business card design in a moment! Use the menu on the right and left sides of the page. You can edit the main graphic, background color, layout and texts with these menus! Make an engineer business card now and see how your clients list grows. Try making a Web Developer Business Card! 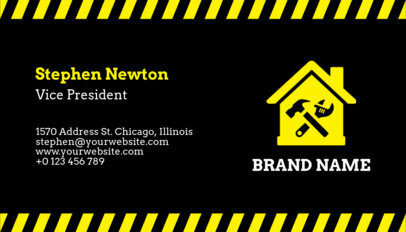 Use now this business card template by Placeit and make your own handyman business cards in just a moment! Use the menu on the right side of the page to edit the icon and background, then customize the banner and the text using the menu on the left side of the page. 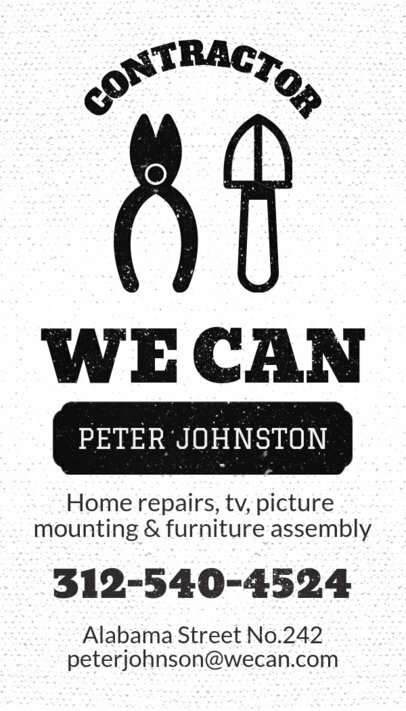 Make now handyman business cards with Placeit and get more clients! Use now this online business card maker by Placeit and make your own medical business card with an awesome easy-to-use interface! Use the menu on the right side of the page to edit the background color, main and secondary icon. Then edit each line of text with the menu on the left. Simple, right? 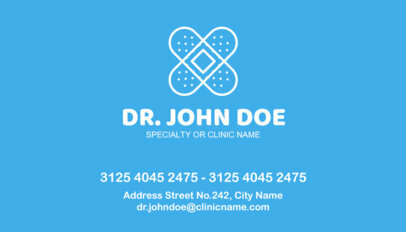 Turn your medical logo design into a healthcare business cards design now with Placeit! Try a Dentist Business Card Maker! Use now this awesome business card maker from Placeit and start creating your own creative business card in a super simple way. Use the menu on the right to choose a color for the structure and background, and to customize the main and secondary icon. Then use the menu on the left to edit the fill and each line of text. 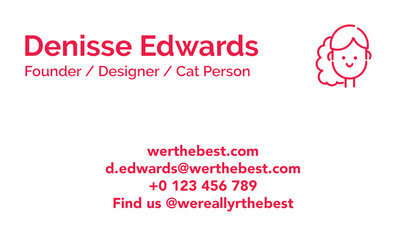 This awesome business card maker will let you make your business card template in a better way! Try an awesome Avatar Maker to Design a Custom Logo! This online business card maker by Placeit will let you create a real estate business card design in just a moment! Take a look at how it works, you don't have to know anything about Photoshop. Use the menu on the right side of the page to edit the main icon and background, then customize the side graphic and each line of text using the menu on the left. 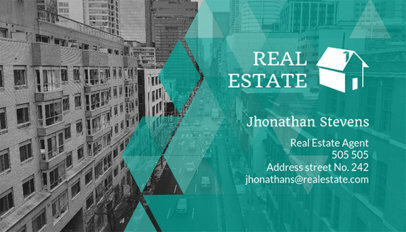 Make your realtor business cards now with Placeit's real estate business cards templates! 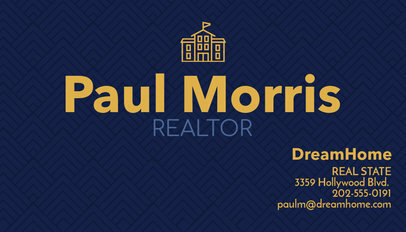 Try another Real Estate Business Card Maker!